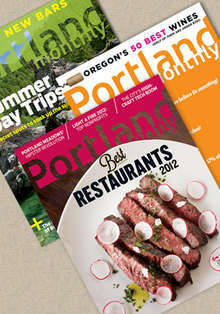 I was excited today to see that Portland Monthly is on Living Social today. You get a 2 year subscription for just $15. It always has great food articles. The most recent was the Best Restaurants of 2012. They highlight everything from the best breakfast spots to great local beers and local produce to best food carts. They have a trail guide and highlight a different trail every issue. It doesn’t matter if you are a hiker or biker they have it all. Looking for some fun activities or concerts or happenings? Those are in there too. There’s nothing quite like sitting down with a hot latte and flipping through the pages reading all about what Portland has to offer. Living Social also has it set up so you can give this as a gift as well. This would be a perfect Christmas present.